One of the main components of your Security System is the transmission of signals to warn of a possible emergency or risk situation so that our company staff can act accordingly. For this reason, at LIP SEGURIDAD we have an Alarm Station equipped with the most updated technology, capable of efficiently receiving any type of alarm signals as a consequent of different types of events: theft or trespassing, fire, emergency buttons, glass breaking, the opening of doors or windows, etc. 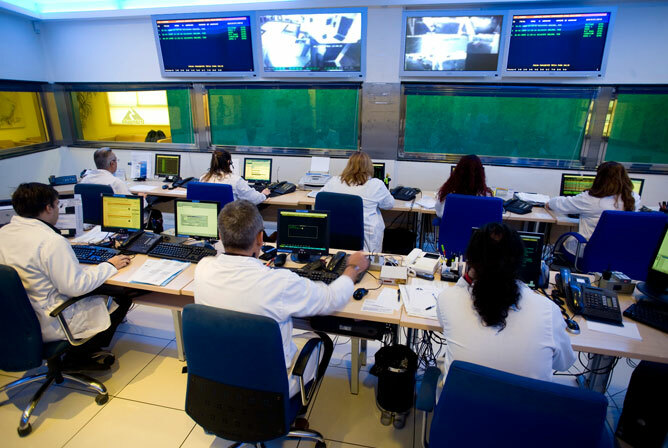 These facilities, for the control and reception of our clients, are among the most advanced in Europe, with a qualified team that it is 24 hours all year round dedicated to verify and handle every signal received from the security systems connected, in order to solve an emergency situation with the maximum rigor as soon as posible.